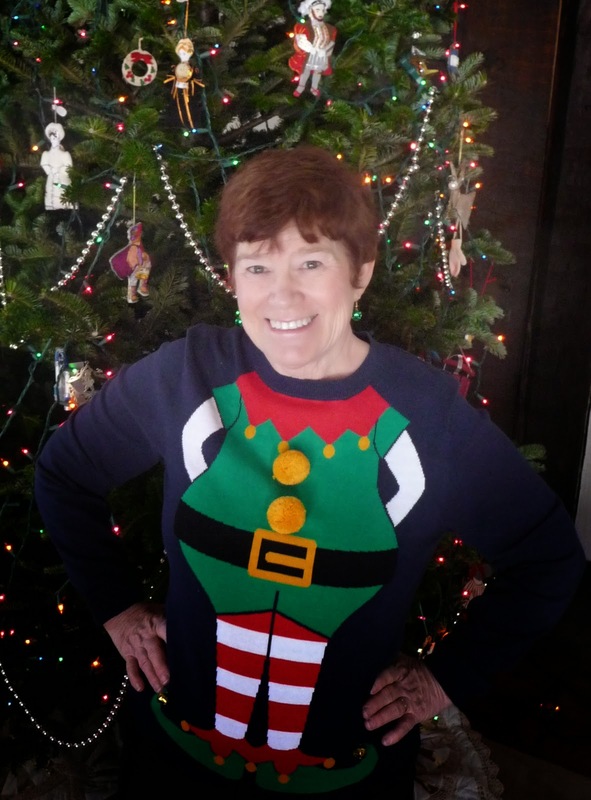 We Izzies decided to ask Deedy (that’s Dorothea Jensen to you) a few questions about how she came to write our stories. Q. 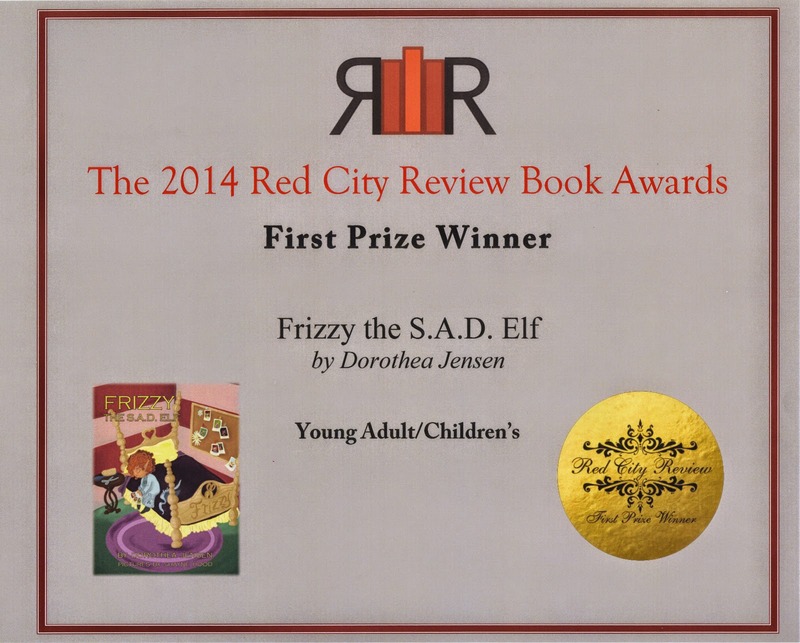 When did you start writing about us Santa’s Izzy Elves? A. I first wrote down Tizzy’s story in 1991. Although it was automatically copyrighted at that time, I didn’t register it for copyright officially until 1999. It was originally titled The Elf on the Shelf. Unfortunately, titles cannot be copyrighted, and someone else eventually used that title. To avoid confusion I changed mine to Tizzy, the Christmas Shelf Elf, before I published it as a Kindle book in 2011. Q. When did you write the sequels, Blizzy, the Worrywart Elf, Dizzy, the Stowaway Elf and Frizzy, the S.A.D. Elf? A. In 2012, I was working on my new historical novel for children, A Buss From LaFayette. When I had written about a third of the story, I learned that someone in my family was very sick. For a long time, I helped take care of him and was unable to continue with the complex task of writing historical fiction. I found, however, that writing stories about elves was an excellent way to escape for a little while from the problems of real life. 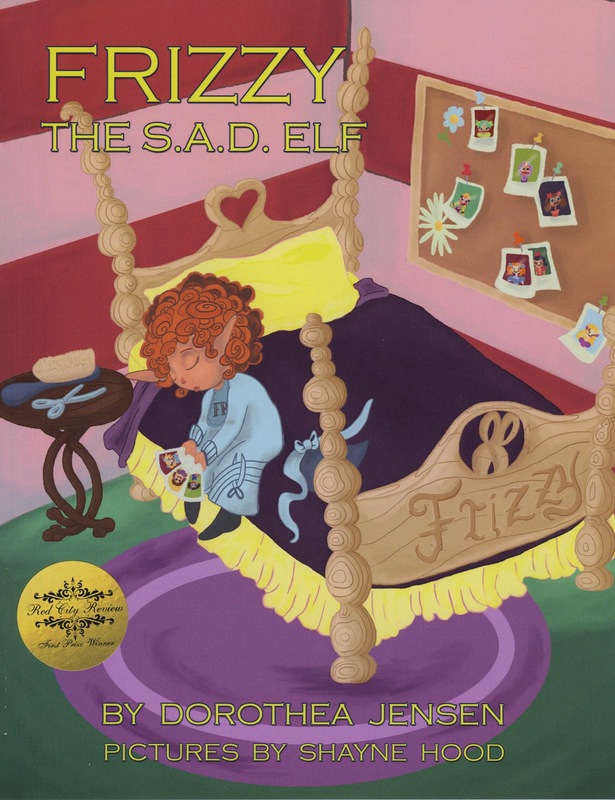 In 2013, I finished Blizzy, the Worrywart Elf, and Dizzy, the Stowaway Elf, got illustrations done for all three stories, and released them in the fall. I wrote Frizzy, the S.A.D. Elf in the spring of 2014, at the same time I was finally completing A Buss from Lafayette. Q. If our stories are not aimed at toddlers, who do you aim them at instead? A. School-aged kids and their parents, grandparents, teachers, et al. I use some words that children probably don’t know and they will need an explanation from an adult. Besides, I try to make stories that adults will enjoy, too. Furthermore, I do not like to write “down” to children: I believe that entertaining stories are great avenues for discovering fun new words. When I wrote The Riddle of Penncroft Farm, my editors at Harcourt Brace Jovanovich pressured me to remove archaic words because they thought kids would not understand them. I (mostly) prevailed, and almost all the fan letters I’ve received from young readers over the years have stated that they loved the interesting old words. Q. How did you come up with our names? A. I named my first elf Tizzy to convey the idea that he was pretty upset with being stranded so far away from the North Pole – in a tizzy, so to speak. Then I discovered that putting -izzy together with other initial consonants yielded surprisingly meaningful names for elves: Quizzy – who makes puzzles; Blizzy – who makes snow globes; Fizzy and Dizzy – who make “toys that surprise”; Frizzy – who cuts and curls the dolls’ hair; Bizzy – who like to boss the other elves; and Whizzy – who rushes around wrapping presents. Then it occurred to me that they are all known as Santa’s Izzy Elves. Q. Will there be stories for the rest of us elves? A. There certainly will. I pretty much know what happens to Whizzy, Quizzy, Bizzy, and Fizzy. Just have to carve it out into poems. Q. Is writing in rhyme difficult for you? A. Not at all. It almost writes itself. I like to say that I have eight elves inside my brain dictating poetry for me to write down. Sometimes it really feels as if that is what is happening. If I get stuck, I use a rhyming dictionary, find an interesting synonym with the right rhythm, and use it to shape my line, but I don’t need to do that very often. Q. Who are the boys in our Izzy Elf stories? A. They are my grandsons. Their response has been interesting. Owen explained to me that Tizzy, the Christmas Shelf Elf (the story he is in) wasn’t real because 1) they don’t have an upstairs at their house, and 2) he doesn’t know how to turn on the Christmas tree lights, as he does in the poem. I told him that was the “pretend” part. Alex was delighted because when he analyzed the illustration showing them in bunk beds, he was the one in the top bunk (he figured that out by the color of the PJs). They don’t have bunk beds, and Alex wants to get the top bunk if they do get them. Maybe he thinks this establishes a precedent for his claim. The boys in Dizzy, the Stowaway Elf are two more grandsons, Stuart and Drake. I recently overheard Stuart explain to his little brother that I get up early because elves pop into my head and wake me up. Not far from the truth. I have two more grandsons (twins) but they are young enough that I have awhile to figure out how to put them into a story. Q. Why are you publishing these stories yourself? A. These stories don’t fit neatly into an established category. Yes, they are picture books, but no, they are not aimed at toddlers. After trying unsuccessfully to get the first of these published (as The Elf on the Shelf) I put the manuscript on a shelf (if you’ll pardon the phrase) for nearly twenty years. In November, 2011, I found out it was possible to publish on Amazon.com and decided to release it myself. Of course, by then, I had to change the name to Tizzy, the Christmas Shelf Elf to avoid confusion. I also changed the names of the kids to those of my own grandboys, who weren’t even born when I wrote the original story. Via the internet I found an illustrator, Michelle Alfonso, to create a cover for me. She had just graduated from art school and was from Manchester, New Hampshire, not far from where I live. In 2013 she fully illustrated the story. I discovered it was great fun to be able to help shape the marvelous images that she conjured up of all my elves. When The Riddle of Penncroft Farm was being readied for publication, many years ago, I had no input on the cover art that Harcourt Brace Jovanovich commissioned. Thus the original cover showed Geordie as being somewhat transparent, a condition that would surely have revealed immediately to Lars, the modern protagonist, that Geordie was a ghost (or “shade”, the term Geordie prefers). I told my editor that this made no sense in terms of the story, but Geordie stayed transparent. I find that it is much more satisfying to work directly with an illustrator. Q. Why did you decide to record audiobooks of our stories? A. It’s not always easy to read poetry aloud, and my poem-stories are a little longer than many read-aloud books. I thought that parents, grandparents, or any grown-up might like to have a recorded version to play for their kids if they themselves just cannot stand the thought of reading one of my stories aloud for the umpteenth time. I have done quite a bit of acting, and I’m comfortable using a microphone. I found a terrific professional recording studio and had a wonderful time reading my stories aloud there. I just read the poems as if I were reading them to one of my grandchildren. Thank you, Deedy. We’ll be back with more questions later! Well, really only 13. Not many people shop on Christmas Day. When you are making your last minute Christmas lists, please don't forget us Izzies! You can buy our award-winning stories as paperbacks, Kindle books, Nook books, downloadable audiobooks and audiobook CDs. Amazon purchase links are right here. Yes, there they are up on the right side on this page. For links to buy through other online retailers, please visit our websites: dorotheajensen.com or izzyelves.com. By the way, next year you'll also be able to buy Izzy Elf Dolls, too! We hope you make our stories part of your holiday tradition.